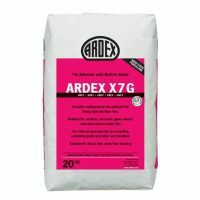 Gypsum Adhesive – 20kg bag – Our superior quality pre-mixed gypsum adhesive, produced to our specification, provides an ideal adhesive for your gypsum brick effect slips or gypsum stone effect cladding products. Coverage: Each 20 kg bag will cover between 3.5 m2 – 4 m2. 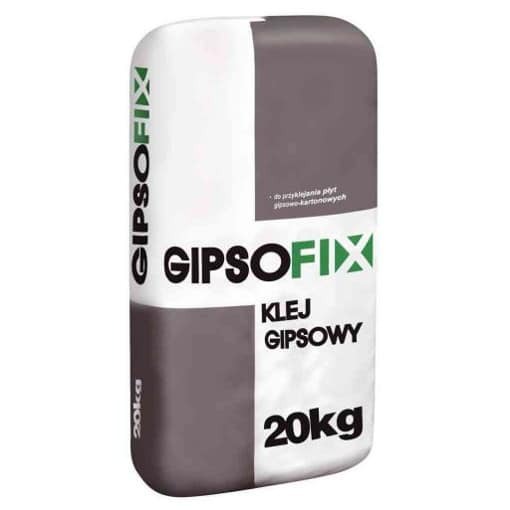 Gipsofix gypsum adhesive is a reliable and universal product characterised by excellent adhesion to gypsum plasterboard, ceramic tiles and other materials. Efficient and easy to mix, guarantees fast and easy assembly of many elements. When mixed with water, it creates an ideal paste consistency. Its plus is fast drying when the binding is open. Gypsum adhesive is an indispensable product in every construction project. Its high quality, efficiency and attractive price is a guarantee of satisfaction. 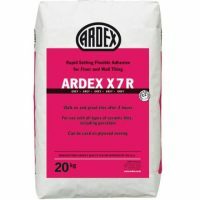 The gypsum adhesive is designed for attaching drywall and composite slabs for acoustic or thermal insulation. Its substrate may be brick, blocks, cellular concrete and other elements of wall construction. The consistency of the paste, which is obtained in a short time after mixing with water, guarantees easy application on a given surface. Average consumption: 5 kg per m2. Temp. Application: from + 5 ° C to + 25 ° C.
Our cladding accessories have been carefully chosen and matched for our cladding products. We would recommend that you contact us before ordering to ensure the correct accessory product has been chosen for your order.